Presentation of the peer reviewed academic journal Yearbook of Women’s History: Gender and Archiving on the meaning of archiving for the women’s movement then, now and in the future. Atria is guest editor of this 37th volume on ‘Gender and Archiving’. The women’s movement is one of the most succesful social movements in the western world of the 20th century. Worldwide collections and archives of women and women’s movements offer a unique source for studying women’s history and inspiration for many. In december 2015 Atria celebrated the 80-year existence of the Collection-IAV, the International Archive for the Women’s movement (founded in 1935), with an international conference on archiving in the 21st century. A selection of the conference papers are included in the 37th volume of theYearbook of Women’s History. After the welcome by prof. dr. Renée Römkens, director of Atria, dr. Eveline Buchheim (researcher at NIOD Institute for War, Holocaust and Genocide Studies, and editor of the Yearbook) will give a short introduction on behalf of the editors of the Yearbook of Women’s History. Tashina Blom (initiator of the Maagdenhuis archives 2015) will give a presentation on gendered exclusionary practices during the Maagdenhuis protests in 2015. The first copy of the book will be presented to prof. dr. Geertje Mak. Prof. dr. Geertje Mak is professor of the Political History of Gender in the Netherlands at the University of Amsterdam. She specialises in historical research into the changing meanings of gender, both male and female. Tashina Blom is doing the research master Cultural Analysis at the UvA and was active during the Maagdenhuis Occupation in 2015. She is currently working on an archive about the Maagdenhuis occupation in cooperation with the City Archives of Amsterdam. Together with Molly Bower she wrote an article for the Yearbook. Dr Eveline Buchheim is researcher at the Institute for War, Holocaust and Genocide Studies (NIOD) and editor of the Yearbook of Women’s History. The presentation will take place in Atria’s Library, Vijzelstraat 20. The presentation will be concluded with drinks. The thrilling European title for the Dutch women’s football team, a pregnant Serena Williams winning the Australian Open tennis tournament, Kenyan-born Rose Chelimo of Bahrain becoming World Champion of the women’s marathon, and 66-year-old Pat Gallant-Charette being the oldest woman to swim across the English Channel – these are only recent highlights of female achievements in sport. In all respects, women’s sport participation and success is booming. In addition, ‘fitgirls’ have become part of popular culture. The 2018 volume of the Yearbook of Women’s History will focus on the making of ‘the sporting body’ as a concept full of ambiguous cultural meanings and impact. Marjet Derks, Professor of Sports History at Radboud University Nijmegen, will serve as guest editor for this volume, which will appear in the year of the 2018 Winter Olympics. Traditionally, sport has been a masculine domain dominated by men and capacities that have culturally been ascribed to them. ‘The athlete’ was a competitive and if necessary an aggressive achiever and had outstanding physical prowess. Sport participation by women was never perceived as natural, but rather as an act of border crossing or even space invading that transgressed gender and sexual naturalness. For that reason, it was met with prejudice and oppression. For a long time, sports history reflected this male dominance. Even though magazines gradually began to address sport as a pastime from the late nineteenth century, academic interest only became more prominent in the late twentieth century, when historical analysis began to address sport as a thoroughly gendered field (Bourdieu). Starting with the role of female pioneers and their self-empowering experiences through sport, research has expanded towards analysis of sport as a basically gendered performative culture, in which gender (femininity, masculinity and transgenderism) is done, affirmed and challenged. Moreover, questions have arisen as to how issues of gender have changed sport. More recently, the intersectional dynamics of sports have come to the fore, together with a focus on transnational discourses, representations and practices. The 2018 Yearbook of Women’s History invites papers which discuss the historical formation, transformation and impact of gendered discourses, representations and practices within sport and physical culture. The focus will be international and comparative. We welcome contributions that consider the Netherlands (or former Dutch colonies), as well as other parts of the world, in a transnational analysis. · Football: the last male stronghold? There will be coffee and tea upon arrival. Guest-editors Bettina Bock and Jessica Duncan will give a short presentation and hand over the first copy to professor J.M. van Winter, professor emerita of medieval history, expert in food history, and main benefactor of the Yearbook of Women’s History. Curator of the National Museum of Education Jacques Dane will give a presentation of his contribution to the volume on Domestic Science in and outside the Dutch Classroom in the period 1880-1930. Please RSVP before 19 February to e.c.walhout@hum.leidenuniv.nl (Evelien Walhout). In nearly all societies gender has been, and continues to be, central in defining roles and responsibilities related to the production, manufacturing, provisioning, eating, and disposal of food. The 2016 Yearbook of Women’s History presents a collection of new contributions that look into the diversity of these gendered food-related practices to uncover new insights into the shifting relations of gender across food systems. Authors explore changing understandings and boundaries of food-related activities at the intersection of food and gender, across time and space. Look out for intriguing contributions that range from insights into the lives of market women in late medieval food trades in the Low Countries, the practices of activist women in the garbage movement of prewar Tokyo, the way grain storage technologies affect women in Zimbabwe, through to the impact of healthy eating blogs in the digital age. De officiële uitnodiging volgt begin oktober. 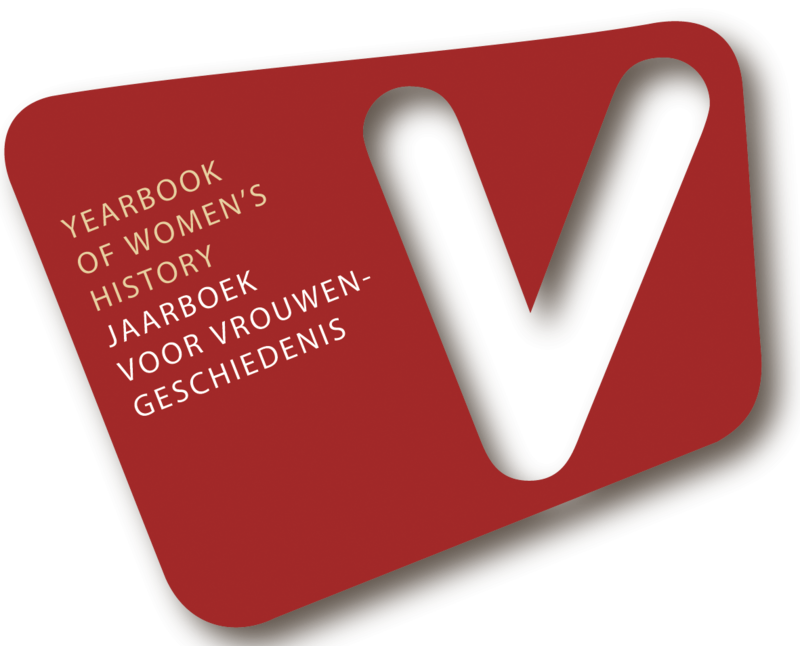 Atria will be the Guest Editor of the Yearbook of Women’s History that will be published in May 2017. The volume is a follow-up of the international conference celebrating the 80th anniversary of the IAV-collection (International Archive of the Women’s Movement) that was hosted by Atria in December 2015. It will focus on the meaning and potential of archiving for enhancing gender equality and the position of women worldwide. There is an increasing interest in the significance of Women’s archives. Contemporary theory on gender and women’s archives and women’s libraries emphasizes that libraries and archives are more than storehouses of knowledge (De Jong en Koevoets 2013). Eichhorn, writing on feminist archiving, states that: “A turn toward the archive is not a turn toward the past but rather an essential way of understanding and imagining other ways to live in the present”(Eichhorn 2014). What is the meaning of archiving for the women’s movement then, now and in the future? What is the impact of practices of libraries and archives as they are undergoing profound transformations under the influence of new (technological) developments? What concepts, categories, discoveries, and theories can help expand our understanding of the meaning and potential of women´s archives and other institutions in the domain of history and gender research for enhancing gender equality and the position of women worldwide? This issue will discuss these questions taking into account historical, contemporary and future perspectives. The focus will be international and comparative, looking at women’s archives from various parts of the globe and in different geopolitical settings. We would particularly welcome contributions outside Europe, notably on the role of women’s organisations in evolving democracies. Abstracts (maximum 300 words) are to be submitted before 16 September 2016 to Saskia Bultman (editorial secretary): s.m.bultman.3@hum.leidenuniv.nl.